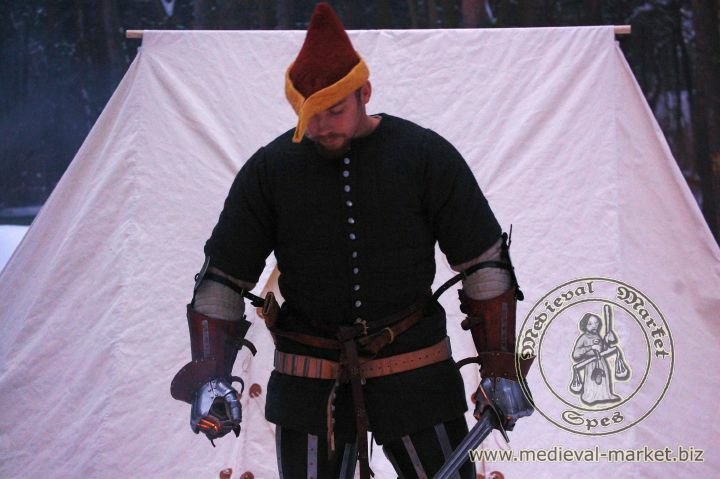 Outer gambeson type 1 (long sleeve)). MEDIEVAL MARKET - SPES. 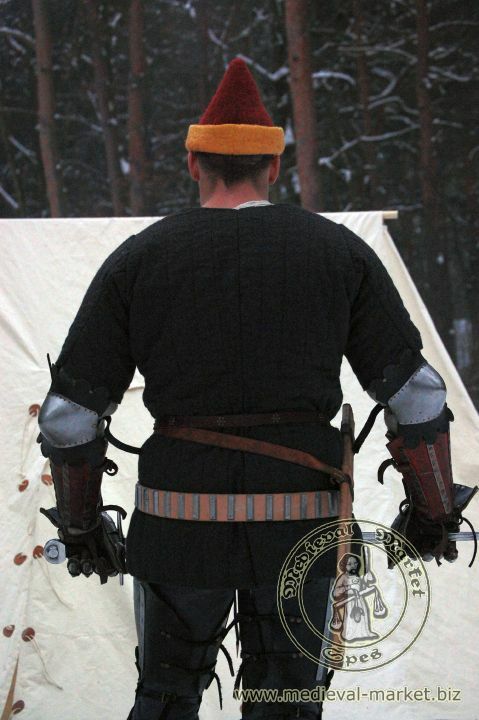 Gambeson worn on the armour. Buttoned, very thin, quilted vertically. 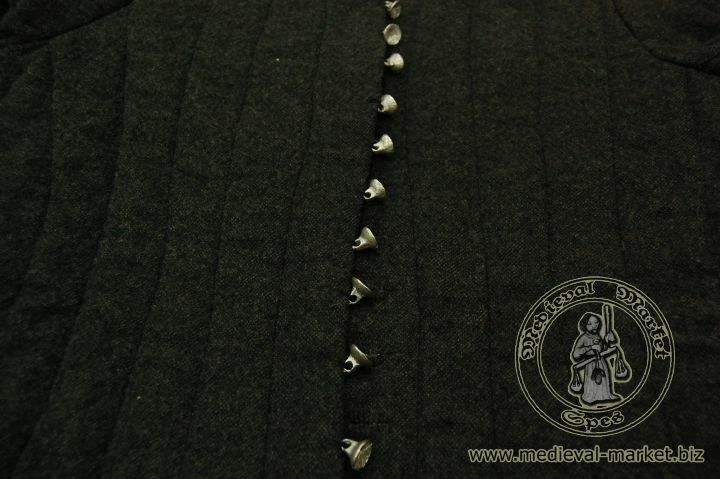 Made of wool with linen lining. In standard, it has 15 material buttons (you can choose also moulded buttons). Very commonly shown in the iconography. Used at the fall of the XIV & XV century.